You know those really annoying kid show characters, The Teletubbies? They're these brightly colored, billowing, and loud creatures that squeal and talk like a bunch of cracked out unicorns. And they need to die. 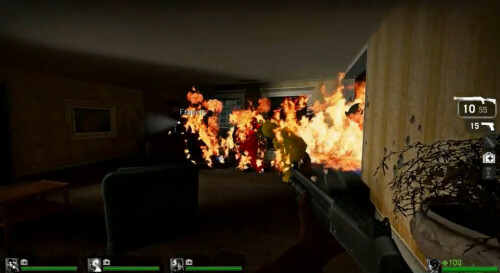 Now you can do that thanks to the latest Left 4 Dead PC mod called Teletubbies 4 Dead. I think the video says it all. Four player co-op Teletubby slaughtering. Ahhhhh...yeah. Left 4 Dead Intro Asks the Question - "Run or Shoot?" Page created in 0.2363 seconds.